Just got in another set of brand new F150 takeoff rims and tires. 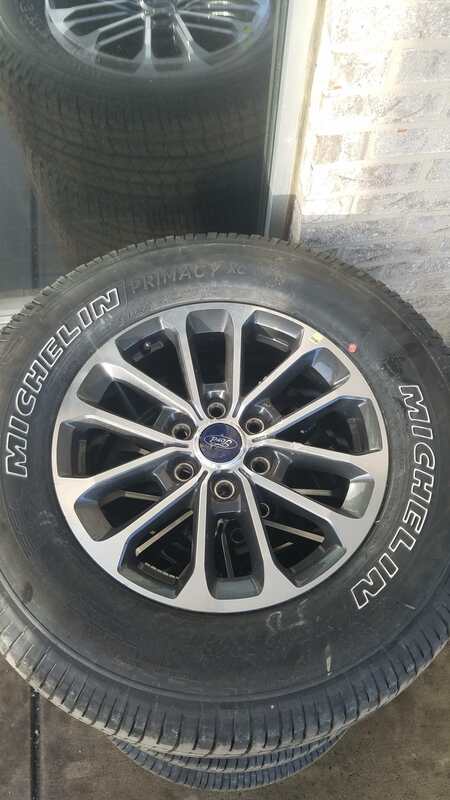 Come off a 2018 F150 Sport Appearance package, 18" aluminum rims, Michelin tires. Brand new with less than 20 miles on them. Includes TPMS system. Will fit F150s from 2004-2018. Same bolt pattern, backspacing, offset, and outside tire diameter. Will not require any speedo calibration. 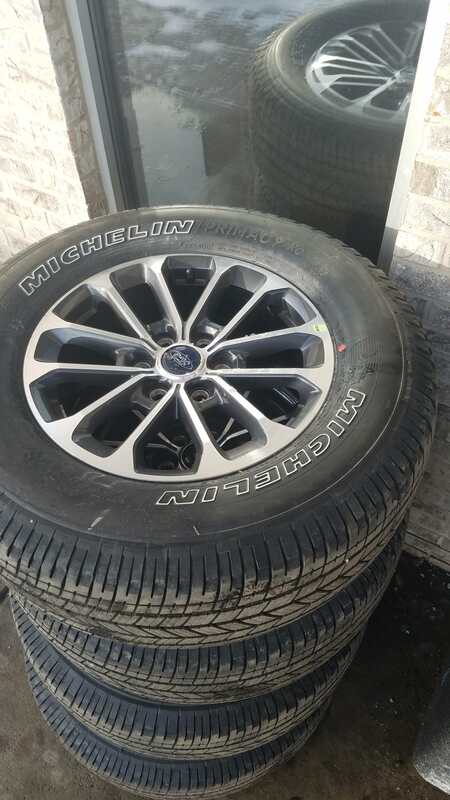 If you're in need of a new set of tires, for just a couple hundred bucks more, you can get all brand new rims and tires.. then sell your old set to offset that cost.